Next to air water is the main key to man’s survival on the earth. Access to fresh water for life is a basic and fundamental human right. But the state of fresh water across the world is far from satisfactory as leading experts now predict that as early as 2025, large part of the world could experience perennial shortage of fresh water. Even now, around 4 billion people live in a situation where they don’t have enough fresh water for drinking, generating electricity, agriculture and so on. In fact, wars over oil played a major role in the 20th century history, different specialists of late are making convincing cases that many 21st century conflicts will be fought over water. With this rather gloomy background and with renewed sense of urgency countries throughout the world are observing World Water Day with the theme “Water and Sustainable development”. Water is crucial to the sustainable development across the world, so is Bangladesh. Let us shed some light on the overall scenario of fresh water in our country. As a natural resource, sweet water is as valuable as minerals like coal, ore, oil and natural gas. Rivers, lakes and streams are the prime sources of fresh water, which though sounds a bit unconvincing, accounts for only around three percent of the total water mass of the globe. So, fresh water is a precious material, to say the least. Despite being the world’s largest delta having an estimated 1,200 billion cubic metres of fresh water resources, Bangladesh depends mostly on groundwater for drinking and industrial and agricultural output. About 98 per cent of drinking water and 80 per cent of dry season irrigation water come from the reserve of 21 billion cubic metres of groundwater. Natural sources of fresh water, especially rivers are becoming poisonous with human waste and industrial effluents, causing serious hazards to public health and ecological system. The rivers around Dhaka are being alarmingly polluted owing to mindless dumping of untreated human waste and industrial effluents that contain heavy metal and residues of toxic chemical. Of the 80,000 tons human waste gathered a day, at best 2 per cent (1500 tons) is treated at Pagla treatment plant near the capital and the rest eventually end up in the rivers. Most industries in and around Dhaka city release their untreated effluents directly into the Buriganga, Shitalkhya, Balu and Turag rivers, taking advantage of the authorities’ lax attitudes towards enforcing environmental laws and regulations. Not only that, more than 300 rivers in this country are being polluted in the same way. Such a pollution makes the water unsuitable for agriculture, fishing, household chores and bathing and also destroys the riverine ecological system and bio-diversity. The four rivers around the capital have become the virtual dumping grounds of all kinds of solid, liquid and chemical waste as hundreds of textile industries and tanneries are located by these water bodies. 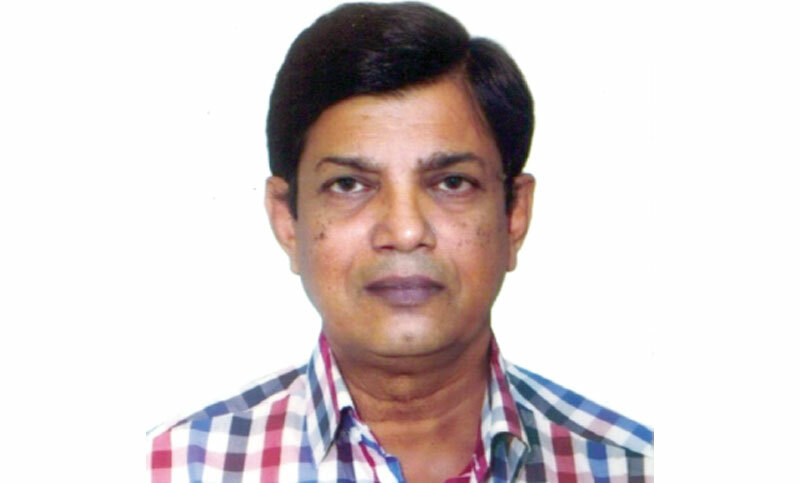 According to the views of Prof. Dr. Mohammad Ali, who carried out the first liver transplant in Bangladesh, excessive accumulation of heavy metals through regular consumption of contaminated food and water might damage brain, liver, kidney and nerve. Contaminated water could cause deadly hepatitis - A and B and Typhoid and eventually lead to liver failure, particularly in children and pregnant women. According to the recent findings of Action aid Bangladesh, more than 7,000 children under five die of diarrhoea, while waterborne diseases cause a quarter of total deaths a year. Dhaka Water and Sewerage Authority (WASA) which serves only 12.5 million people uses water of the Shitalakhya at a treatment plant at Sayedabad to meet 22 per cent of 230 crores litres of fresh water demand per day. The rest is extracted from underground. The over-extraction of groundwater lowers its level and causes increased salinity in coastal areas. When the groundwater level goes beyond the sea level, saline water flows inward during tidal surge in rivers. According to an official estimate, the groundwater table in Dhaka city depletes by 3 metres every year with roughly 1.5 meter of annual recharge. In the 70s of the last century WASA used to install tube-well at 350-450 feet below the surface but now it requires 500-1000 feet. Cost of installation has gone up. Besides, the properties of aquifer, the soil that holds water are also damaged. The soil might become compact and its capacity to hold water in future might be lost. Rainwater, the purest form of sweet water, is callously wasted by letting it run off and merge with polluted rivers in the absence of harvesting system. Replenishment of groundwater is obstructed owing to indiscreet concrete coverage of the surface, destruction of wetland, open space, rivers, estuaries and canals. The good news is that we can solve this problem ourselves. With the Bangladeshi brand of resilience and innovation we can adopt new collaborative from the grassroots up to national level to address the challenge. The Ganges barrage, when implemented, will retain water of the trans-boundary river known as the Padma in Bangladesh during rainy season for use of the rest of the year. Currently, we have an act based on which laws can be made to limit the use of groundwater for irrigation. For example, licence must be obtained from the regulatory body failing of which should be deemed as culpable offence. Farmers should be made aware of the misuse of groundwater through vigorous awareness building campaign. About 3,500 litres of water is needed to produce one Kg of rice, But our farmers more often use water twice as much as for the purpose. Communities can play an important role as local guardians in ensuring sustainable water management. It is evident that regulating agencies in our country are incapable of monitoring and containing water pollution, encroachment and salinity intrusion on rivers. By contrast, community based activities have established effective measures in tackling the ongoing and looming challenges. After the oil spill in the Sundarbans in December, 2014 it was local people who were the first to respond and whose contributions proved to be very fruitful in avoiding a major environmental catastrophe. The joint UN-GoB mission recommended an action plan including appropriate safeguards to prevent the Sundarbans from oil spilling. Empowering communities with right types of tools and skills is a useful step. Building local and national networks of stakeholders, which incorporate community, regulatory bodies, police and media, can indeed play crucial role in managing water resources in our country. Not only that, it can also help ensure sustainable development for all. Working together, needless to say, Bangladeshis can accomplish anything. The writer is a retired Deputy General Manager of BSCIC.